This entry was posted on July 2, 2014, in NME. Bookmark the permalink. 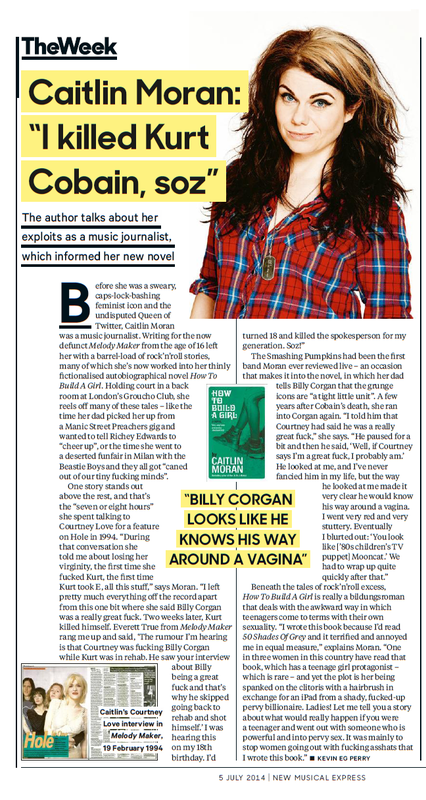 Before she was a sweary, capslock-bashing feminist icon and the undisputed Queen of Twitter, Caitlin Moran was a music journalist. Writing for the now defunct Melody Maker from the age of 16 left her with a barrel-load of rock’n’roll stories, many of which she’s now worked into her thinly-fictionalised autobiographical novel ‘How To Build A Girl’. Originally published in NME, 5 July 2014.